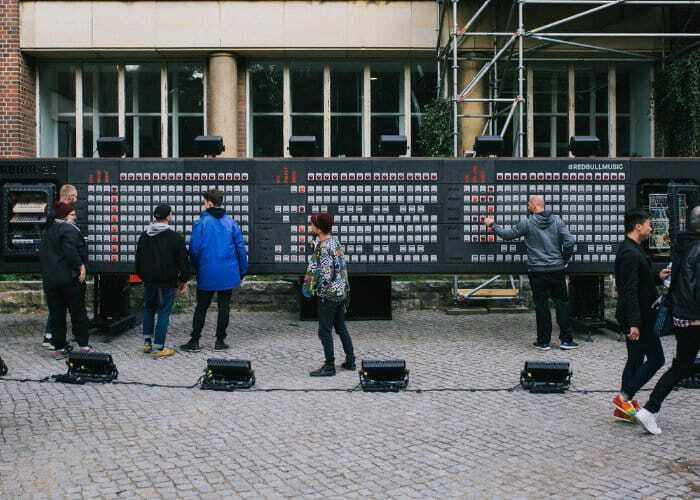 To celebrate the Red Bull Music Academy’s 20th edition, the company has joined forces with the Berlin-based creative studio Neulant van Exel to build the world’s largest step sequencer outside Berlin nightclub Tresor. The RBMA-20 step sequencer took 30 technicians five weeks to assemble and Red Bull says it is the largest fully functional drum machine ever built. Measuring 33 feet long 7.2 feet high and weighing over 1,300lbs or 10m long, 2.2m high, 600 kg, and armed with 427 knobs. Check out the video below to learn more about this awesome build.